iCliniq › Ask a doctor online › Health Articles › Weight Loss › What is Obesity? Why People Become Over-Weight? Written by Dr. Saumya Mittal and medically reviewed by iCliniq medical review team. Who is Considered as An Obese Person? 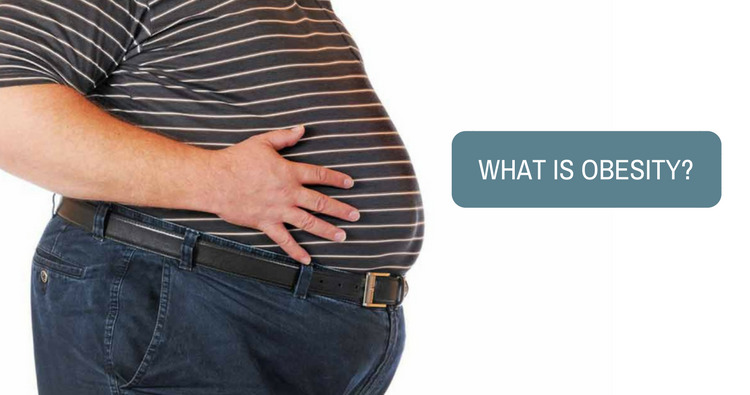 An Obese person is one who has too much body fat and thus has a negative effect on their health. A person is considered obese when they have a weight over 20% of their ideal body weight. On the other hand, one may consider body mass index. Body mass index, more popularly known as BMI is a ratio of the person’s height to the weight. A BMI between 25 and 29.9 is considered overweight and over 30 is considered obese. Of course this is in a person who is fatty. The person may have higher weight even if he is muscular e.g. bodybuilders. So BMI may be erroneous. Having said that, BMI is a useful indicator in the average person. The weight gain is in part a physiological process where the body conserves the energy to store fat to tide over the long periods of fasting, and famine. The stored fat could be used in the times of stress, fast and famine to tide over the drought periods. The person who becomes obese has his body cheated by the mind when it sets the normal weight for itself at a higher weight. The body therefore consumes accordingly and conserves energy even as you increase the exercise level. I have weight loss due to digestion issues. How to gain the weight back? Eating too much - Consuming too many calories especially in heavy meals is one of the most important reason. Western diet is especially rich in calories. Those famed burgers and pizzas can do wonders for the weight and cholesterol, raising them by leaps. Interestingly, the most common cause of high calories in diet is not fat, but sugars and carbohydrates. So beware of those cold drinks and fast foods. An inactive lifestyle - Modern life has become quite sedentary. Most people have an average life of waking in the morning. Going to their offices and sitting and doing their scheduled work, coming back home and relaxing in front of the idiot box, or the machine you are sitting in front of right now. Modern convenience devices like washing machine, kitchen appliances, cars and even remotes lead to a more and more sedentary lifestyle. Buying bread once included walking down the street to the store. Now it consists of walking to the car. And sometimes, dialing a number to have the bread delivered. So obviously, the less you move the less calories you spend. And lesser activity causes imbalance of your hormonal levels, especially insulin- thereby causing weight gain and diabetes. Decreased sleep - Another bane of the modern civic city life. You sleep lesser and lesser and try to work more hours. The odds are that insufficient sleep may increase the risk of obesity and also diabetes. And the modern education system only ups the risk of obesity. The lesser sleep in children also increase their weight. Lack of sleep again causes hormonal imbalance- increased ghrelin (the hormone ghrelin increases hunger) and decreased leptin(this hormone decreases hunger) - thereby increasing the appetite. Obesity may be genetically induced - Genes are now being discovered that may predispose a person to developing obesity. These people may prefer high calorie diets, or may simply metabolize the consumed calories slowly. Smoking has its effect on weight. But the effects are unreliable. Besides, the dangers it puts a person at risk of are graver than the benefits of weight loss it may cause. Under no circumstances should one consider smoking as a remedy. Modern life propagates weight gain and one has to be careful about its related health conditions like obesity, diabetes, and hypertension, cardiac and neural risks to name a few. While one cannot really get rid of modern way of life, one can definitely do something about his daily lifestyle and make changes in his eating and exercise patterns to beat the effects that the modern way of life can affect one. The toll that this style of life can be significantly reduced. Do you have a question on Weight Loss or Diabetes? I have weight loss, increased hunger, thirst and frequent urination. What can it be?